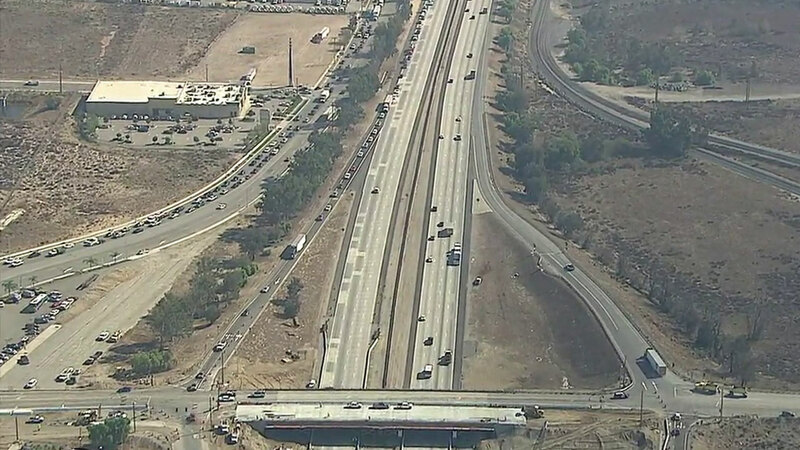 COLTON, Calif. (KABC) -- A semi struck a temporary bridge structure over the 10 Freeway in Colton, shutting down all westbound lanes for hours on Wednesday, Caltrans said. According to a California Highway Patrol incident log, wood fell from the bridge and shattered a driver's windshield around 9 a.m. near Pepper Avenue. All lanes were reopened by around 1:30 p.m.